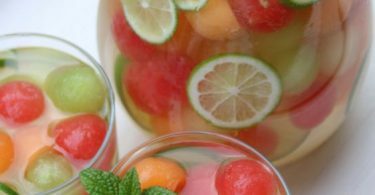 No spring soirée is complete without a tasty thirst-quencher and whipping up a pitcher drink or two beforehand is a smart way to keep your guests happy and hydrated. 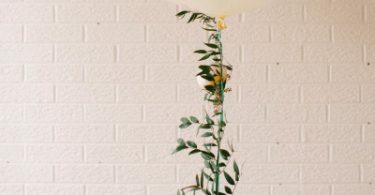 Pitcher drinks are one of those magical things, in the realm of party planning, that look like a lot more work than they actually are, making them a hostess hack of sorts. Keep reading for four delicious and colorful pitcher drinks that will impress your guests and probably even yourself. This sweet, mass-serving, twist on a margarita is firstly simple to make, and promises to be a crowd pleaser. 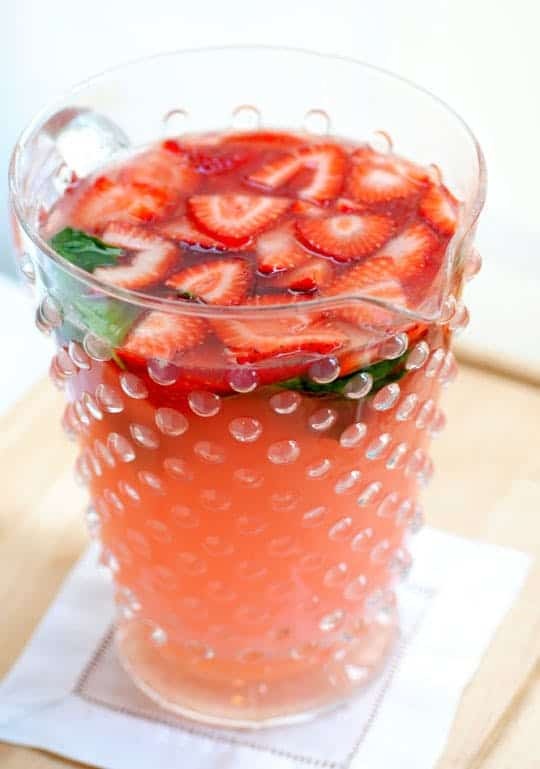 The pop of red from the fresh strawberries also make the pitcher quite the eye catcher. What could be more spring-esq than a green drink? 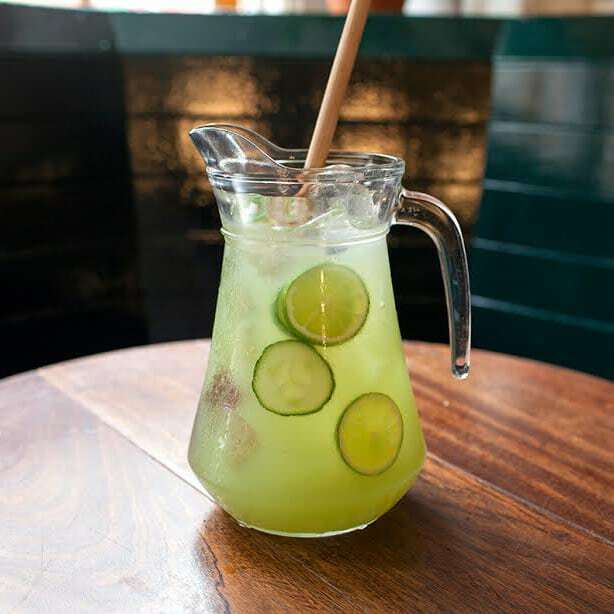 This cucumber-lime concoction promises to be energetic, both in look and taste, what with all the tequila! 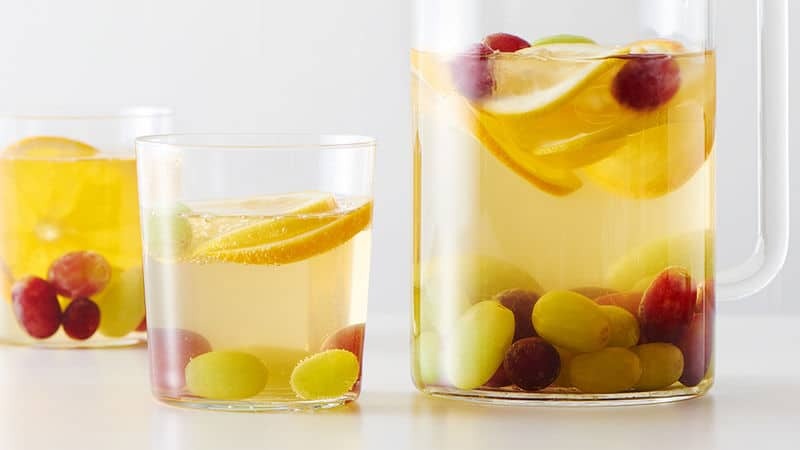 This non-alcoholic pitcher idea is chock full of fruit components, making it a double whammy: a drink and a snack. TIP: Use frozen grapes as an inventive ice cube idea. 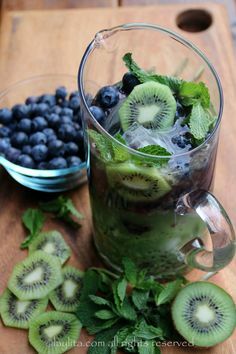 Speaking of chock-full-of-fruit, we love the colorful look of this kiwi-blueberry pitcher creation, not to mention the shock value of seeing these two unique fruit choices combined.